In most depositions, the testimony is taken down by a stenographic court reporter. The court reporter then produces a transcript. Using the deposition transcript works well in support of a motion for summary judgment. However, not all cases are resolved by summary judgment. For those cases not decided by motion, video depositions are better for settlement assessment and are much better for impeachment at trial. 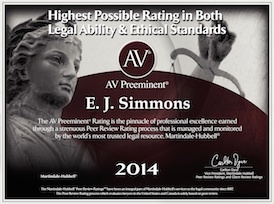 Judges recognize why video depositions are better. “… video depositions provide greater accuracy and trustworthiness than a stenographic deposition because the viewer can employ more of his senses in interpreting the information from the deposition.” Burlington City Board of Education v. U.S. Mineral Products Co., Inc., 115 F.R.D 188, 189 (Middle District of North Carolina 1987). Independent videographers are available, but an independent videographer is not required. The attorney taking the deposition may also take the video. Juanita J. Ott v. The Stipe Law Firm, 169 F.R.D. 380 (Eastern District of Oklahoma 1996); Rice’s Toyota World, Inc. v. Southeast Toyota Distributors, 114 F.R.D. 647 (Middle District of North Carolina 1987). In my office, we make a video of all depositions we take. The legal assistant runs the camcorder, while the court reporter takes down the traditional transcript. Later, we make digital video clips. F.R.Civ.P. 30(b)(2) allows video taping. The notice of deposition must state that video will be used to record the testimony. Note that F.R.Civ.P. 30(b)(4) requires certain statements on the record to be done at the beginning of each tape, and a statement to be made at the end of the tape. In my office, we use a checklist during the deposition to ensure that the F.R.Civ.P. requirements are met. The equipment is inexpensive. In a lawyer’s office, the camcorder’s audio quality is important. For about $250.00 you can buy a mini-DV camcorder, for example the Canon ZR900. For $20 you can buy a short tripod to sit the camcorder on the conference room table. With the camera near the witness, the built-in microphone will clearly record the witness testimony. To make the video in the first place, the legal assistant just sets up the camcorder, points it at the witness, and presses the Record button. I do not recommend that you try to use separate microphones or special lighting. Trying too hard in this way increases the chances of an equipment problem. Relax, and let the camcorder do the work. Have plenty of tapes, label them, and keep feeding the tapes to the camcorder every hour as needed. After the deposition, the digital video from the camcorder is edited on a computer. A Firewire cable connects the camcorder to the computer. For a Windows computer, Sony Vegas or the free Windows Moviemaker is adequate to make clips. On a Mac, iMovie is more than adequate and easy to use. Clip 1: Two minute excerpt: Defendant’s president admits liability. Clip 2: One minute excerpt: Defendant’s vice-president admits the amount of damages. Then, all you have to do is play the clip at the appropriate time from the notebook computer using a projector or big screen TV. (Remember to provide computer speakers, so the jury can hear the witness.) Before you play the tape, you will let the Judge and adverse counsel know what you plan to introduce. The Judge will be given a transcript of what is on the clip. The other side may or may not object. If an objection is sustained, re-editing may be needed. Showing a video clip has much more impact than reading from the transcript. You are not trying to compete with a movie studio in production quality. You only have to be better than your opponent’s boring reading from a transcript. There are three purposes for depositions: discovery, settlement assessment and impeachment. For settlement assessment and impeachment, video recording of depositions is better. Currently available camcorders and software make video depositions an inexpensive and simple part of the discovery process. If you want to try taking a video deposition using your staff, let my office know. We will send you a copy of the video deposition checklist, including what statements the court reporter must make while the tapes are recorded.